Tiffany Redden, LadyRedd Creations Photography opened in December 2009. Since then, Tiffany has taken photos at several events, to include weddings, portraits, boudoir photos a book launch and more. But while pursuing a degree at the Art Institute of Washington, she has discovered a new passion for capturing the beauty in the moment. Tiffany Redden: As a US Army Veteran, I have a strict sense of priorities, to include God, Family, Friends. In the beginning , the finances and the time was not particularly on my side to pursue my own business. 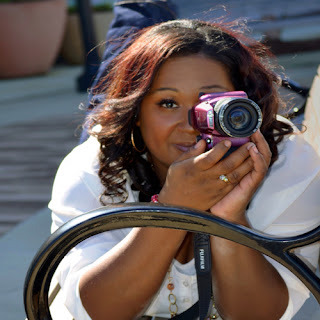 My husband and children needed me in a different way then, but now, things have changed and the kids have grown up just a bit, so now I have more time to go after my dream and build my business, one photo at a time. TR: As a child, I always wanted to be a "Super Hero"; once I discovered my love for photography, I found my "superpower"! I can "Freeze Time"! That special moment, I can make it stand still. TR: Being married to my wonderful husband, makes me so happy; he keeps me grounded and balanced between my business and my personal life! TR: "I can do all things through Christ who strengthen me" from the Bible, the World English Bible version. TR: I have a strange "must have" for a photo shoot... I must have Wrigley's Chewing Gum! That, along with my camera gear and great lighting. TR: BOSS: more than just a leader, but the head, the top, the cream of the crop of what they do all while constantly striving to improve, grow and dominate; one who can be their best while encouraging others to reach their personal best as well.